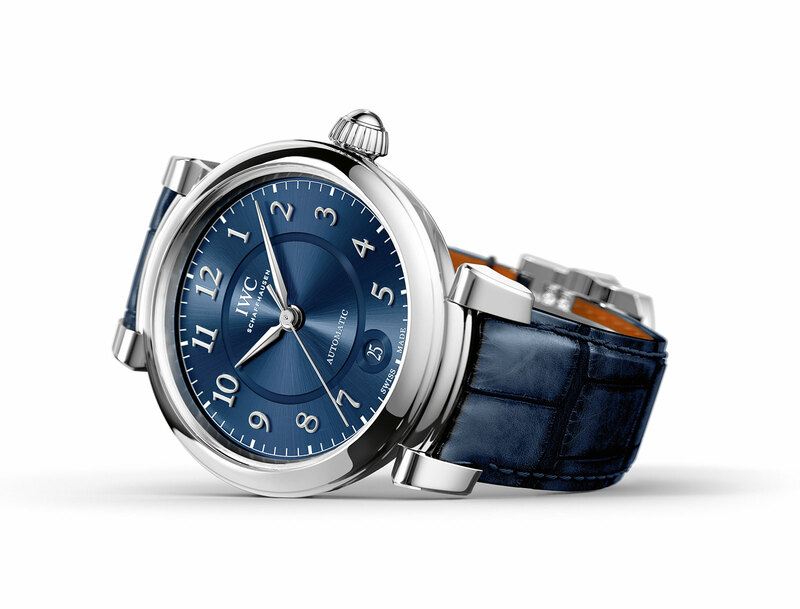 IWC rewinds to the classically styled round Da Vinci of the 1980s with the latest facelift. With SIHH 2017 just around the corner IWC has taken the covers off the revamped Da Vinci, which now returns to the familiar round form of the model’s best known iteration, the perpetual calendar chronograph of 1985 (that’s been resurrected with an in-house movement, pictured above). Named after the Renaissance polymath, the IWC Da Vinci actually originated in the 1970s, starting with a blocky looking electronic watch powered by the Beta 21, the first Swiss-made quartz movement. In 1985 the look evolved into arguably the quintessential Da Vinci model, the landmark chronograph with perpetual calendar that was efficiently constructed and the most affordable complication of its kind at the time. That was followed in the mid 2000s by a Da Vinci modelled on the 1970s tonneau-shaped case, creating a chunky watch that sold poorly. And so for 2017 the Da Vinci has been restyled once again, this time with the 1980s watch as inspiration. 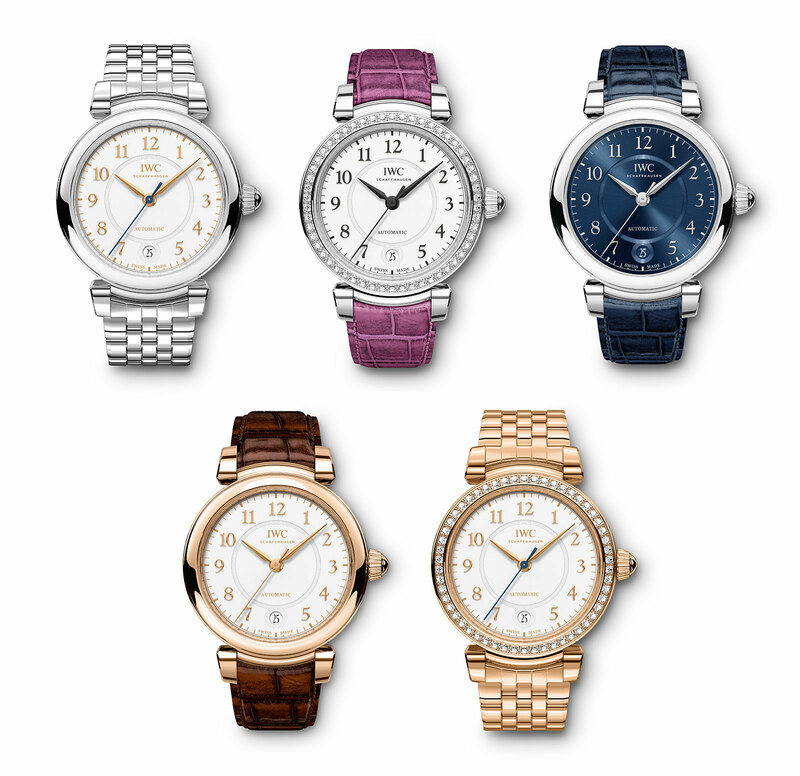 Now characterised by round cases, swivelling lugs, Arabic numerals, and lance-shaped hands, the new Da Vinci line-up is a half dozen strong. While the range is primarily focused on ladies’ watches, the top of the line models are a pair of complicated men’s timepieces. And like many of IWC’s recent watches, all the Da Vinci timepieces are paired with straps made by Italian shoemaker Santoni. The signature watch of the new range replicates the combination of complications found in the 1985 model, but with an in-house movement. 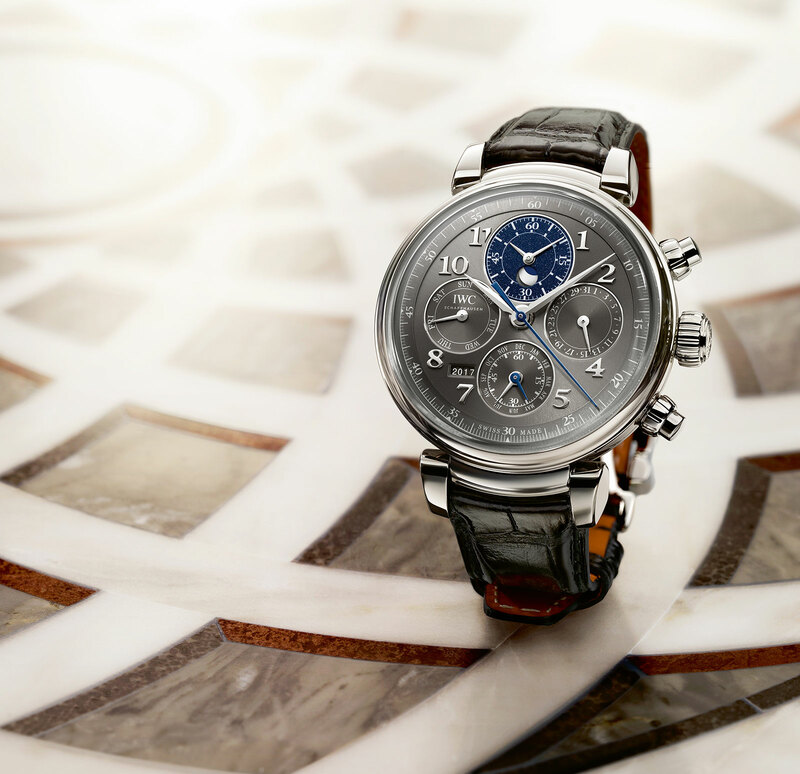 The Da Vinci Perpetual Calendar Chronograph is powered by the calibre 89630, the first instance where IWC’s own calibre 89000 flyback chronograph movement has been combined with a perpetual calendar module. Both the elapsed minutes and hours for the chronograph are contained in the sub-dial at 12 o’clock – the distinguishing feature of the calibre 89000 family of movements. On the new Da Vinci it also features the moon phase display. The other sub-dials at each quarter are for the perpetual calendar. And the four digit year display, a signature feature of IWC’s perpetual calendar module, remains at its traditional position midway between seven and eight o’clock. 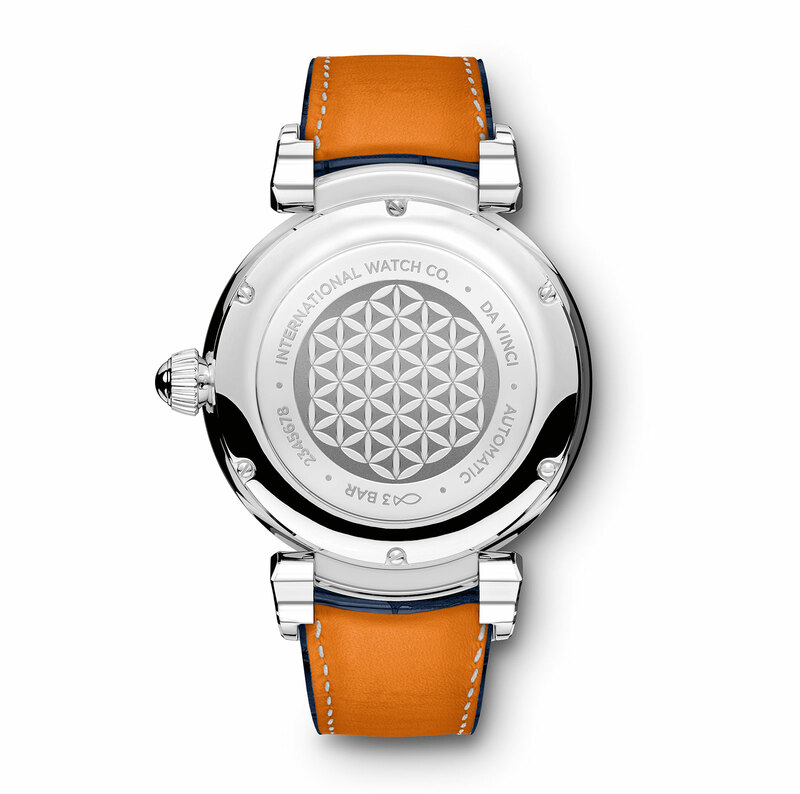 The case is a large 43mm in diameter and 15.5mm high. 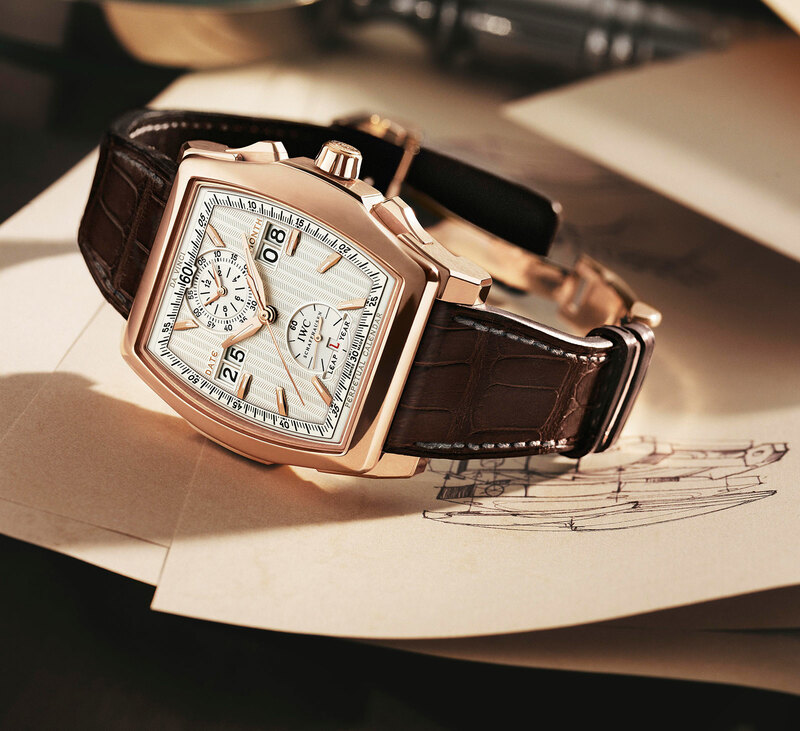 The Da Vinci Perpetual Calendar Chronograph will be available in red gold (ref. 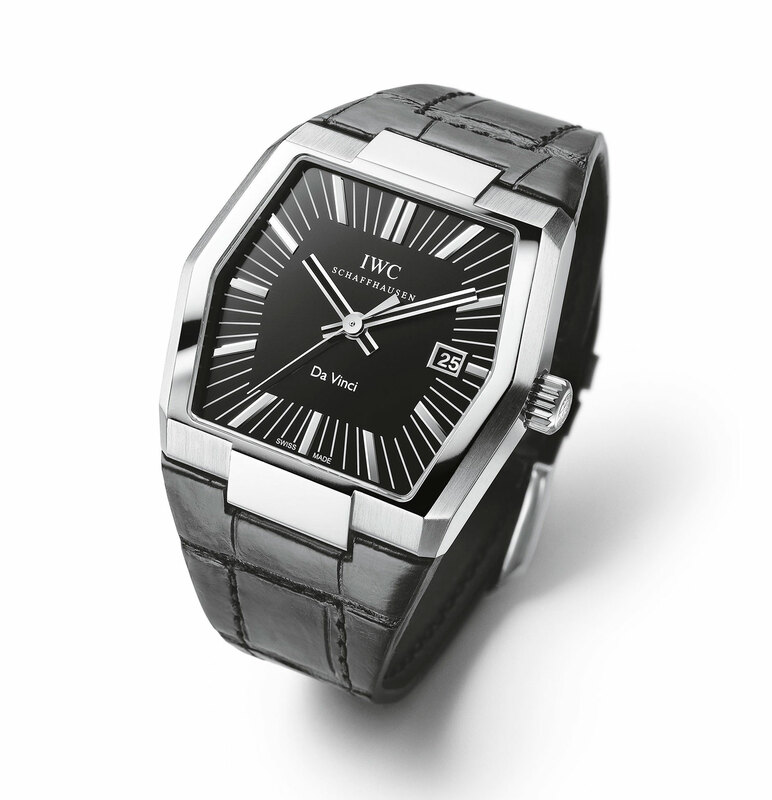 IW392101) for SFr45,000, and stainless steel (ref. IW392103) for SFr32,000. 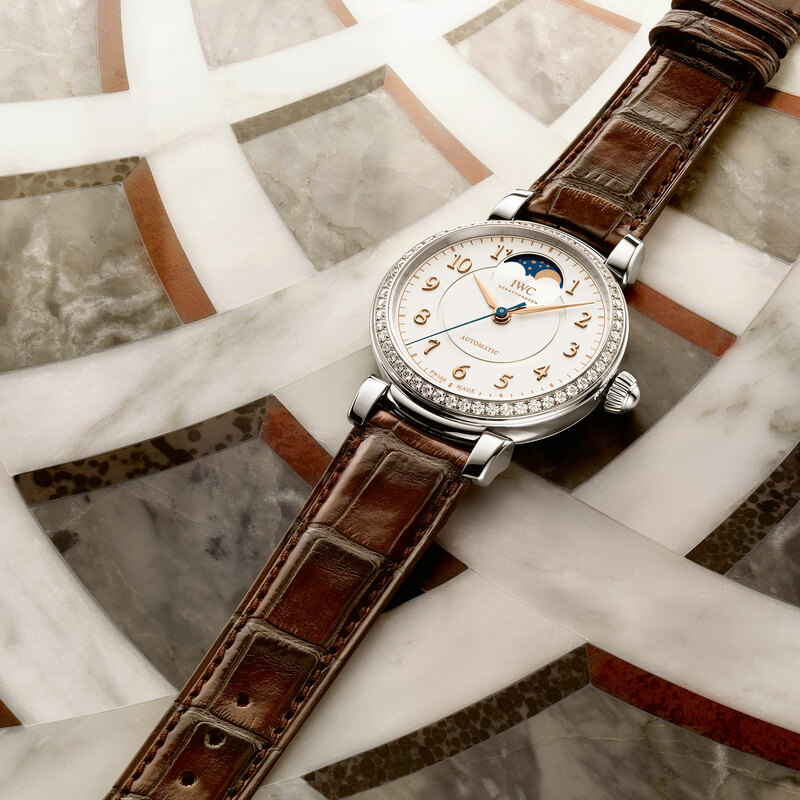 The base ladies’ model is the Da Vinci Automatic 36, a 36mm automatic with date powered by the calibre 35111, which is actually the robust and cost efficient Sellita SW300. This is available in stainless steel or red gold, with several dial variations and the options of diamonds on the bezel, or a matching link bracelet (refs. IW458307, IW458308, IW458310 and IW458312). Prices start at SFr5900. 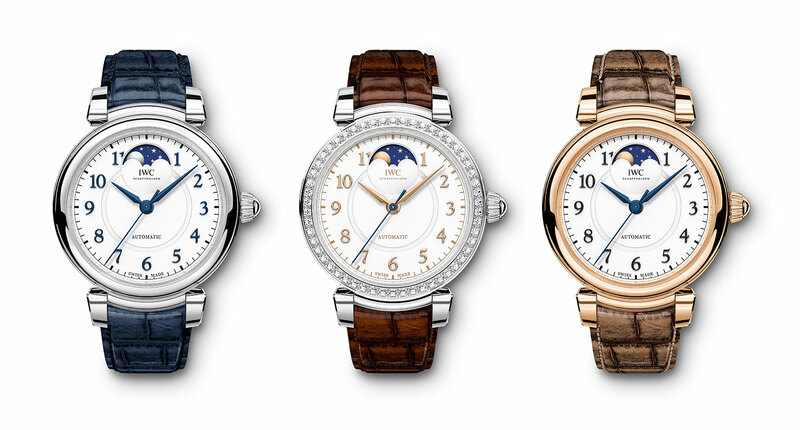 The Da Vinci Automatic Moon Phase 36 adds a moon phase display to the base model. 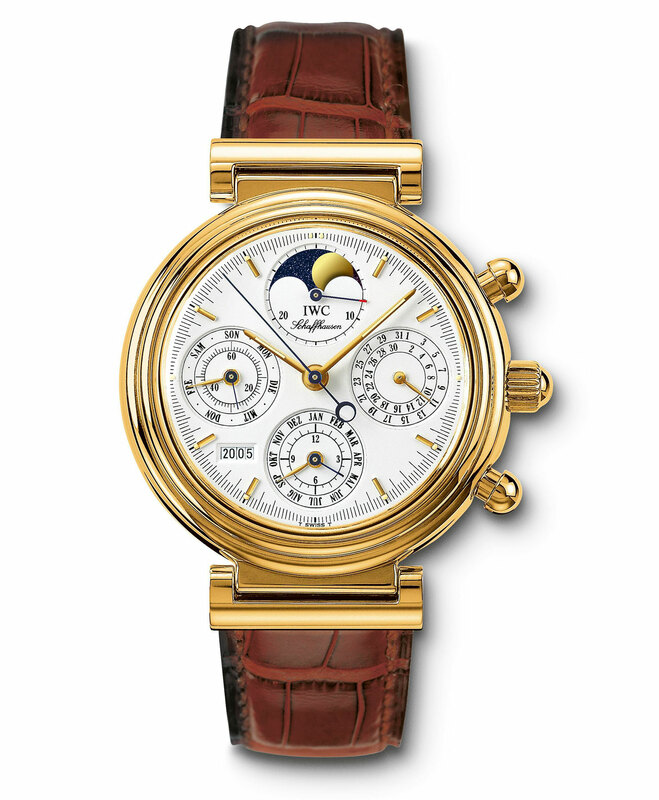 It’s the same 36mm size and powered by the calibre 35800, which is a Sellita SW300 with an added moon phase at 12 o’clock. This is available in three different variants, two in steel and the last in red gold (refs. IW459306, IW459307 and IW459308). Images of the last two have yet to be released, but here’s a quick rundown of the rest of the line-up. Da Vinci Automatic (refs. 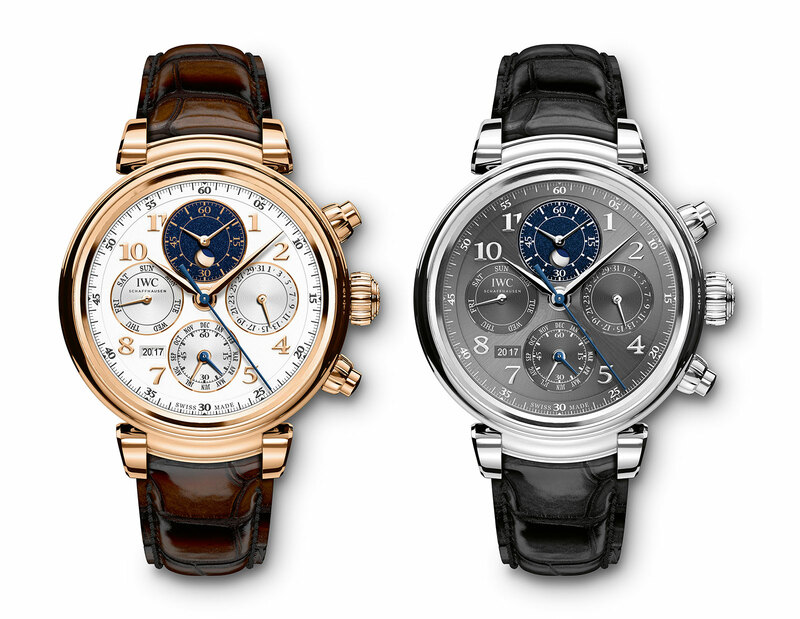 IW356601 and IW356602) – 40mm automatic with date. 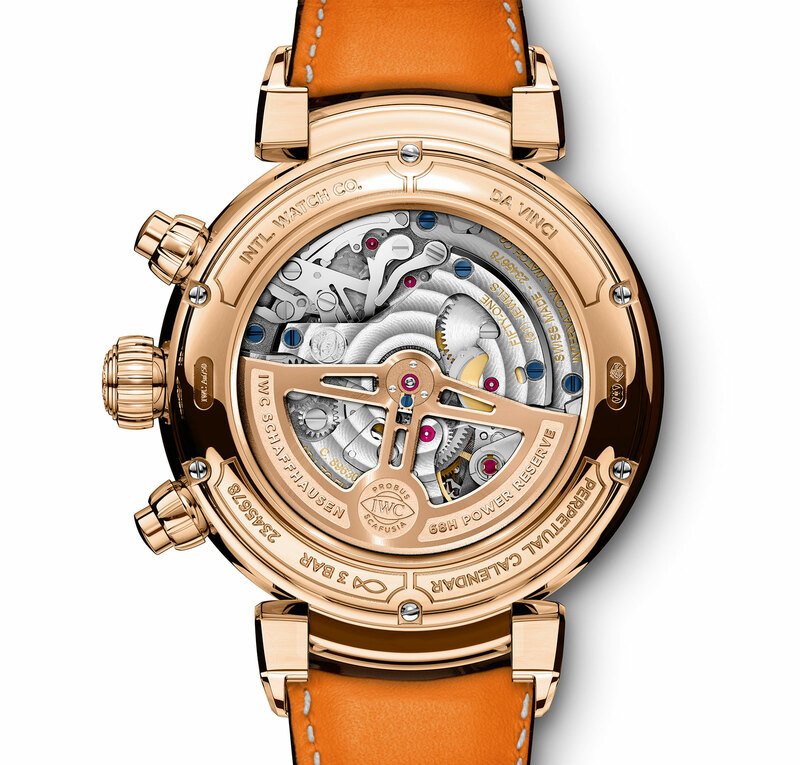 Da Vinci Tourbillon Rétrograde Chronograph (ref. IW393101) – featuring a hacking tourbillon, meaning it stops when the crown is pulled for more precise time-setting, chronograph as well as retrograde date indicator. Additionally, the calibre 89900 inside has the pallet fork and escape wheel made of synthetic diamond. Correction January 5, 2017: The motif on the back is the “Flower of Life”, not “Circle of Life” as previously stated. Addition January 6, 2017: Images of previous generation Da Vinci models included. Addition January 13, 2017: Info on Da Vinci Perpetual Calendar added. Chopard combines its wonderfully constructed chronograph movement with a perpetual calendar in the limited edition L.U.C Perpetual Chrono cased in Fairmined gold.